Spring is in the air here and in years past we’ve headed to our trailer in cottage country to enjoy some much needed family time. 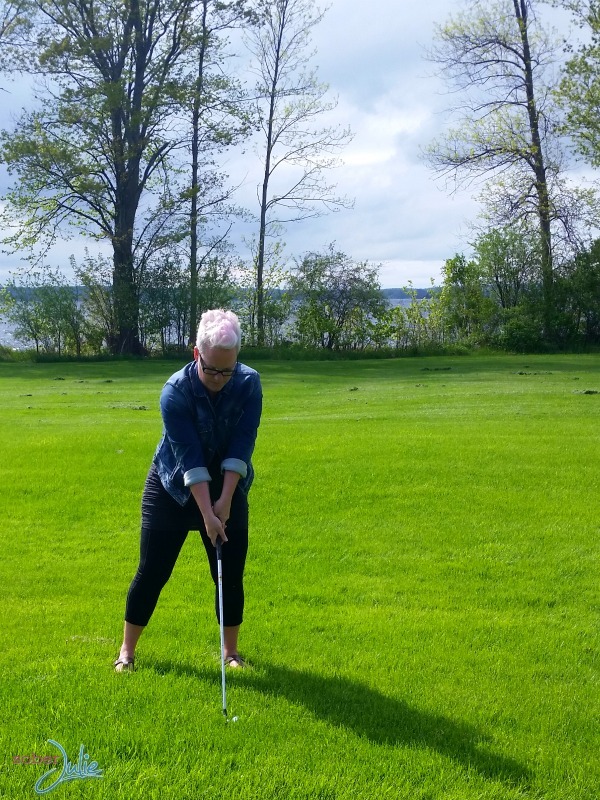 Unfortunately we no longer have a trailer so I was jazzed when our friends at Fern Resort in Orillia, Ontario invited us to join them for a 2 night stay in exchange for this review. 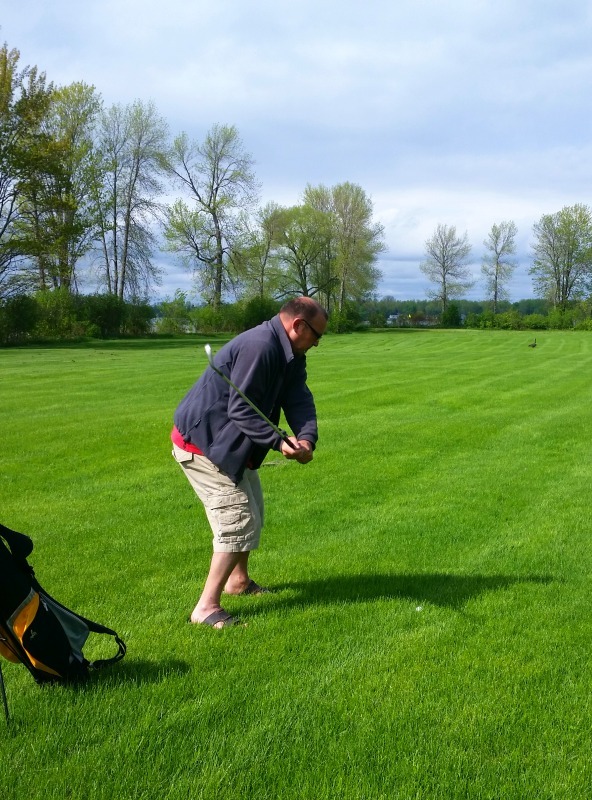 We had the pleasure of spending 5 days over March break there in 2014 and I’d been longing to check out the activities and facilities which would be available during the Spring and Summer months. You can see all of the Winter activities we enjoyed in my article about Winter at Fern Resort. 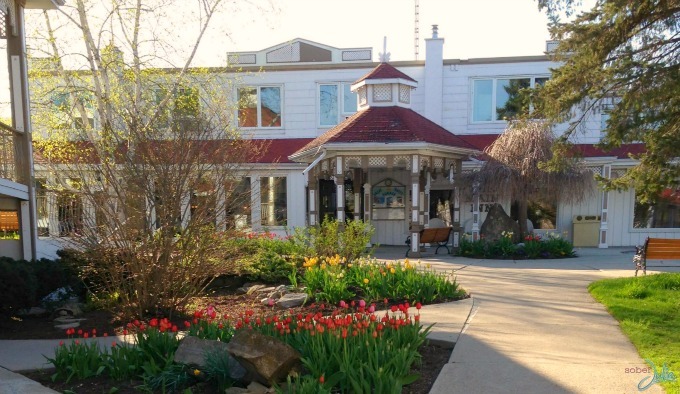 Fern Resort is a gem if you’re choosing an Ontario resort, it’s a true all-inclusive where all of your needs are taken care of. The staff is incredibly friendly and intent on ensuring your stay is enjoyable for your entire party. They go out of their way to accommodate all needs; from dietary needs to well-thought out activity choices there are options for everyone. Fern was established in the 1800s by the Dowling family and is still run by the family to this day. We enjoyed out 2 nights together and I was flabbergasted to realize that my sense of competitiveness was alive and well! You know the one I mean…the one that finds you pushing your child aside to show them YOUR perfect cartwheel and ending up pulling muscles you forgot you had! The grounds at Fern are reminiscent of days gone by. The gardens are lovely and each of the buildings hold a sense of charm which is quite lovely. 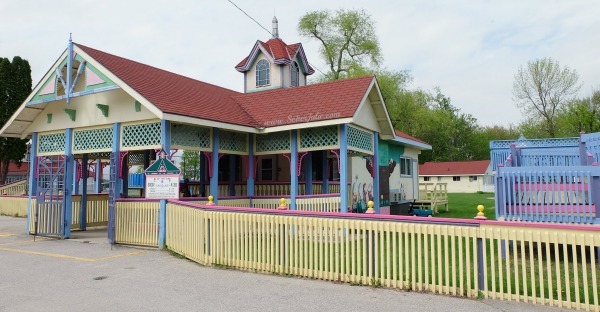 The cabins and accommodation buildings are each named which makes it very easy to identify. 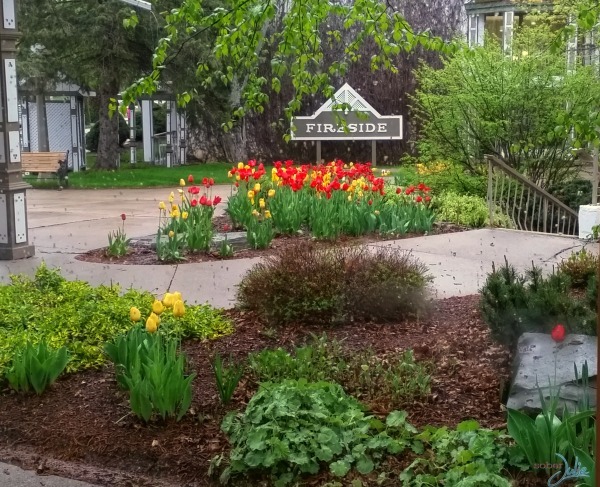 Fern has many accommodations options, in my past article I shared about the hotel accommodations which is the style we enjoyed again this stay. There are 2 pools, one which is heated and on that isn’t…let’s just say you’ll find us enjoying the heated pool during our stay. There are also lifeguards on duty which is nice, you’ll have to be on the pool deck to supervise your kids but you can read a book without feeling like you’re on watch all day. 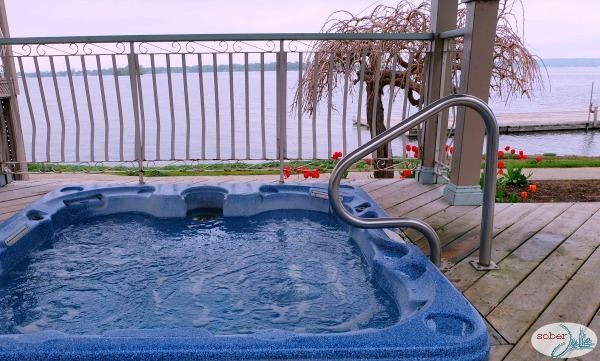 While the girls were in the kids club activities, Brad and I enjoyed some quiet time together in the hot tub overlooking Lake Couchiching. It was a real treat to have that alone time, knowing that the girls were enjoying themselves with leaders who really get them involved. 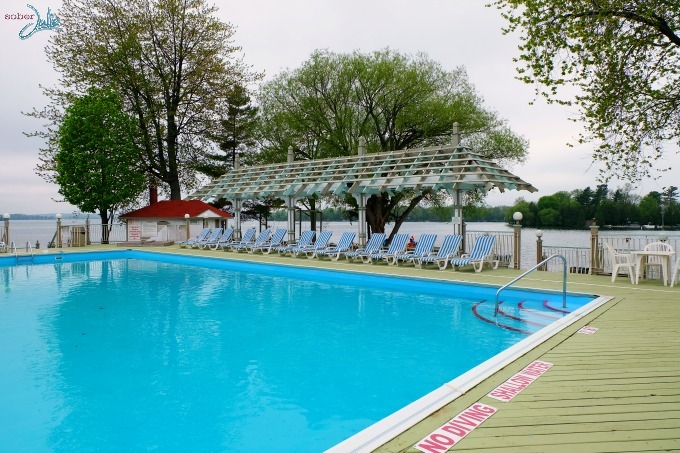 The pool, hot tub and sauna area is located right on the edge of Lake Couchiching with a restaurant and bar right at hand. There are plenty of lounge chairs, but I’m sure in the summer it’s a busy spot! After golf we headed to try out Archery. I’ve never held a bow and arrow before so I was a bit nervous. The instructor was a pro, he explained the theory and gave me tips and a safety talk. In no time at all I was nailing bullseye and feeling awfully proud of myself! Each day at Fern, the kids can attend programmed activities which run all day (breaking for meals) with engaging, FUN leaders who really make the kids feel welcomed. The groups are broken by age groups, from newborn to teenagers they think of everything. You can see all about their kids programming on the Fern website here. 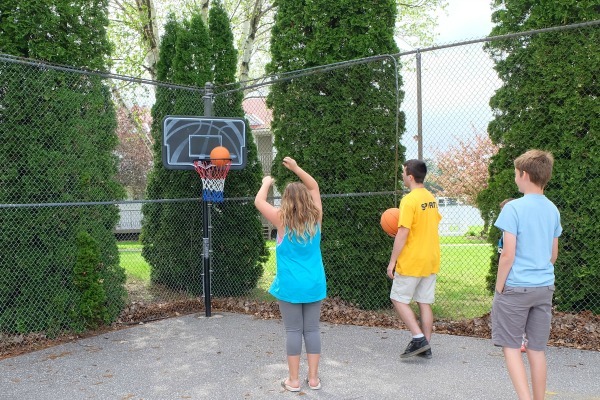 Our girls favourite activities from the kids programs were the Zoo Animals and playing basketball with the new friends they met at Fern. Probably my favourite thing about Fern Resort is the family memories we make there. With the accommodations, food and cleaning taken care of all we are concerned with is having fun! There are far too many activities at Fern for us to do them all in 2 days, but we sure did our best. Here are some of the highlights. 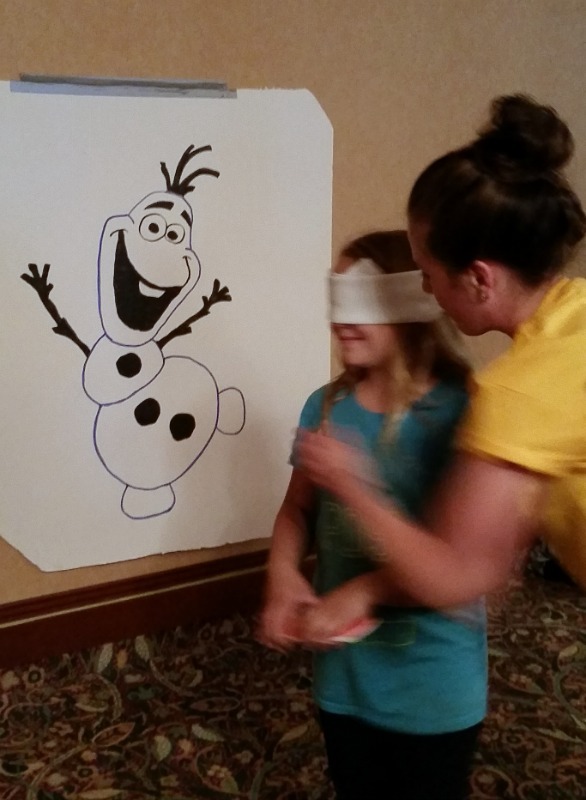 Playing pin the nose on Olaf during the Fern Bucks carnival night. We brought our rods and enjoyed fishing off the dock. 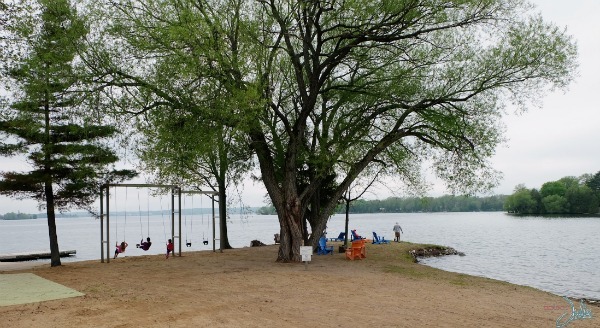 There are canoes, kayaks and paddle boats which you can use as well if you’d prefer. We always fish off the dock, simply because the fishing’s GREAT! 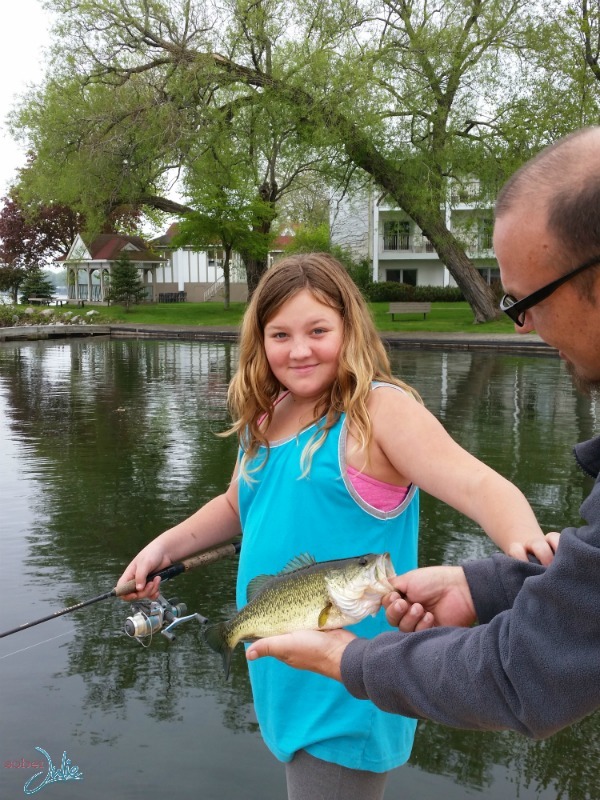 Look at that baby Sydney caught…way to go kiddo! There was NO way she was touching it, funnily she will mash a worm onto a hook but just can’t stand the thought of touching the fish without a glove. 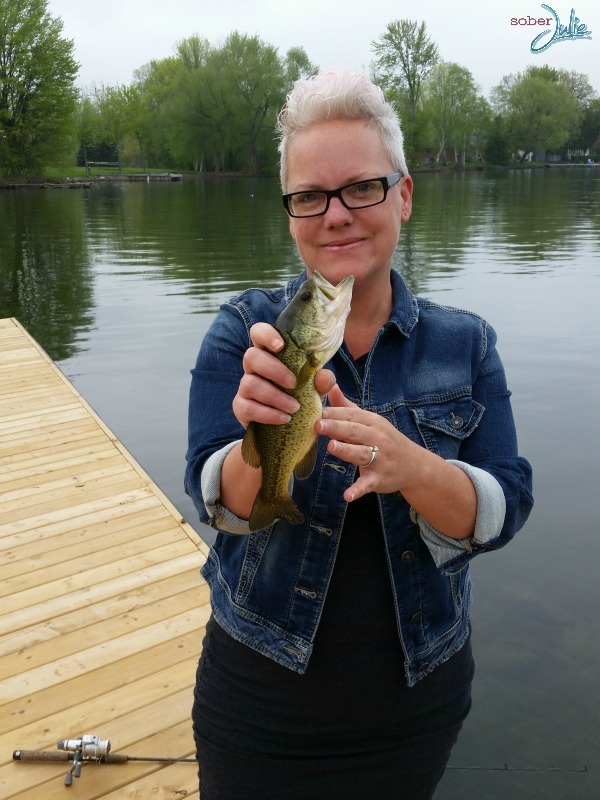 This big score of hers had me dying to catch one worthy of a fish story….it didn’t take long at all! We strolled down to the small man-made beach and enjoyed watching the sunset together while the girls played on the swings. There is nothing more peaceful to me than watching the day come to an end at the edge of water. I’ve written a full review of the dining options and process at Fern Resort HERE but wanted to give you a sampling of the foods from our most recent stay. Once again the food at Fern is top notch. 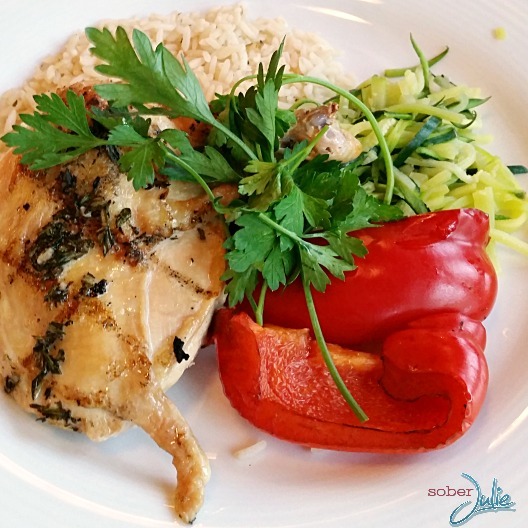 As a foodie who doesn’t drink, finding high quality foods with fresh ingredients is valuable! This stay we were coming with one of our daughters newly gluten free. The menus at Fern are easily laid out with symbols identifying which plates are gluten free and which can be adapted to be so. Sydney was thoroughly impressed and felt that she had loads of gluten free choices. 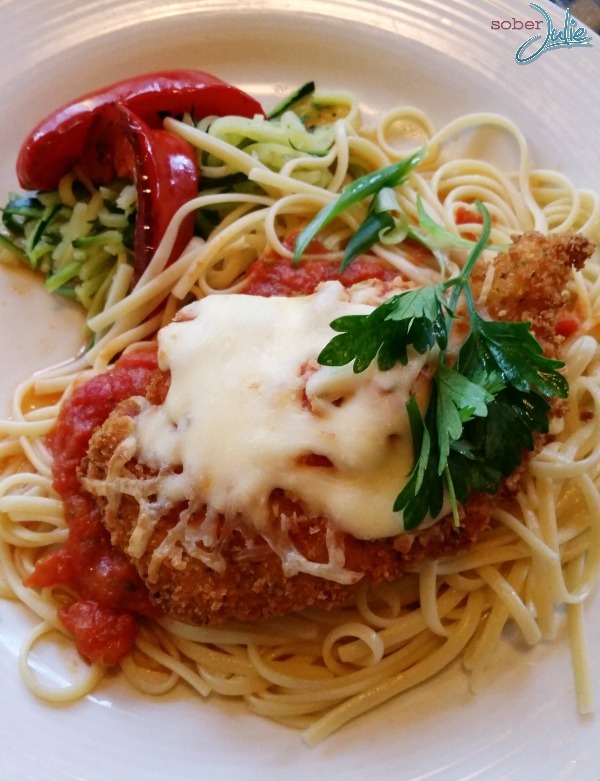 This was Sydney’s spa chicken, a delicious gluten-free option. 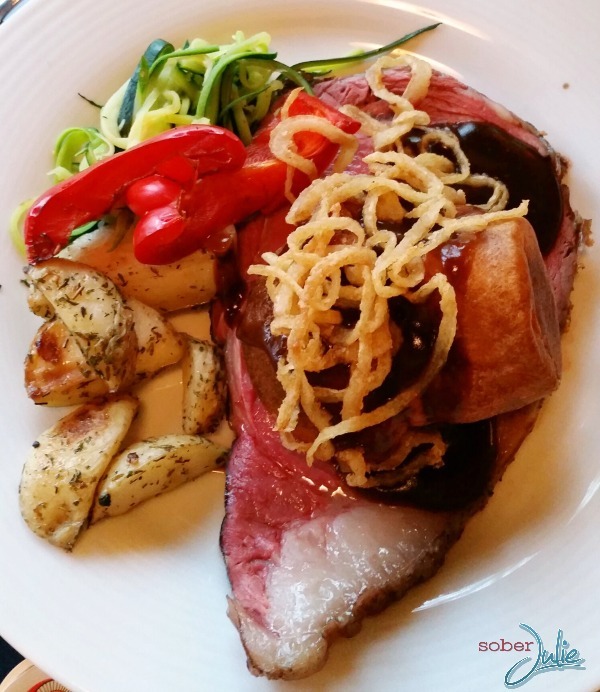 This is a prime rib dinner I really enjoyed. My girl Chelsea has a completely love on for Eggs Benedict and somehow our amazing server remembered that over a year later. This is another thing I really have to mention about Fern…the staff remembers everything! It has been a year since our last visit and our server remembered what pets we have, what the girls like to drink and even dessert tastes. Just top notch! 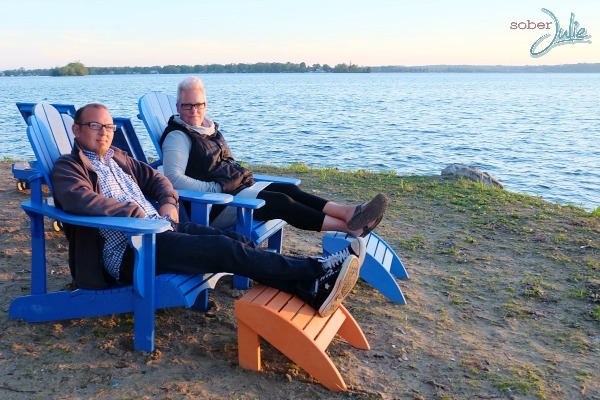 If you’re planning a trip in Ontario, check out the Summer Programming at Fern Resort. It’s an all-inclusive vacation which you know your family will enjoy!! Fern resort looks amazing! I have never heard of them before but would love to check it out. It looks like a great family destination. The food looks delicious and I love all the activities there are to do. I’ve been asking Sébastien to travel to Ontario for our summer vacation. He asked me to suggest places to go in order to decide where we should go. I’m putting Fern Resort on the top of my suggestion list! I’m sure I can win him over with Golf, Fishing, and activities for the kids!! Thanks so much for sharing Julie! P.S. The food looks sooooo good! I have read quite a lot about Fern Resort and would love to take the kids there soon. Maybe this year. It sounds really family friendly and there’s so much to do. We’ve been talking about trip back to Ontario for a little while now. We have lots of family that want to see us, but it is also nice to spend some time on our own too. Thanks! What a fantastic family vacation! I’ve never been to Fern Resort but it looks beautiful. And, love all of the fantastic family activities. 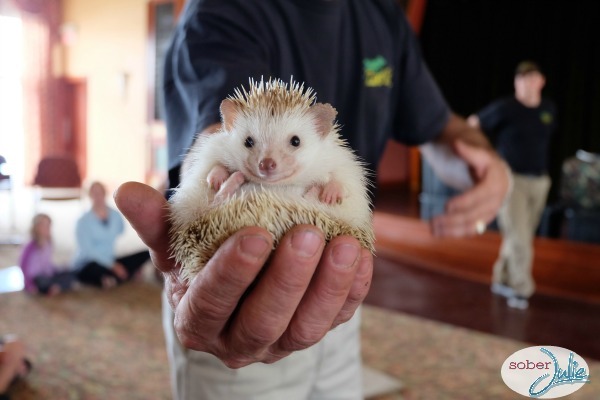 That hedgehog! 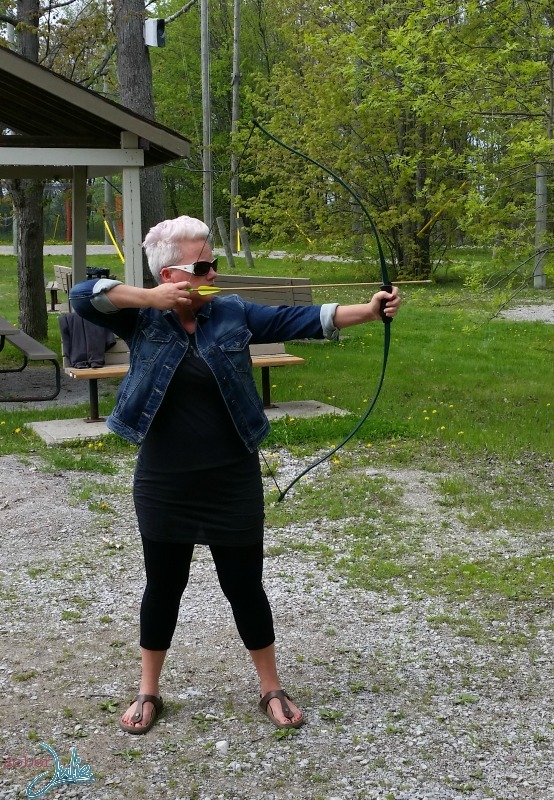 And Archery – so fun! Julie, thanks for putting together this fun and detailed review of Fern Resort. I’ve seen it advertised for many years yet, but surprisingly enough haven’t visited with our family yet. Great photos of you and the family enjoying your stay. 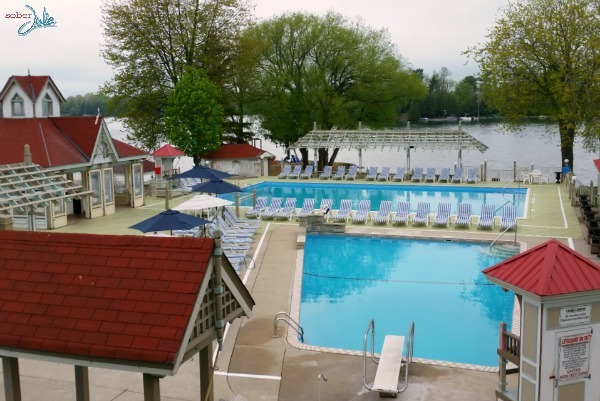 Question: do you know if the lake beside the resort is shallow and swimmable for younger kids (4-years old)? This looks like a great relaxing family fun vacation. I shared it on my 100 Summer Vacation Ideas. What a wonderful looking place to take your family! 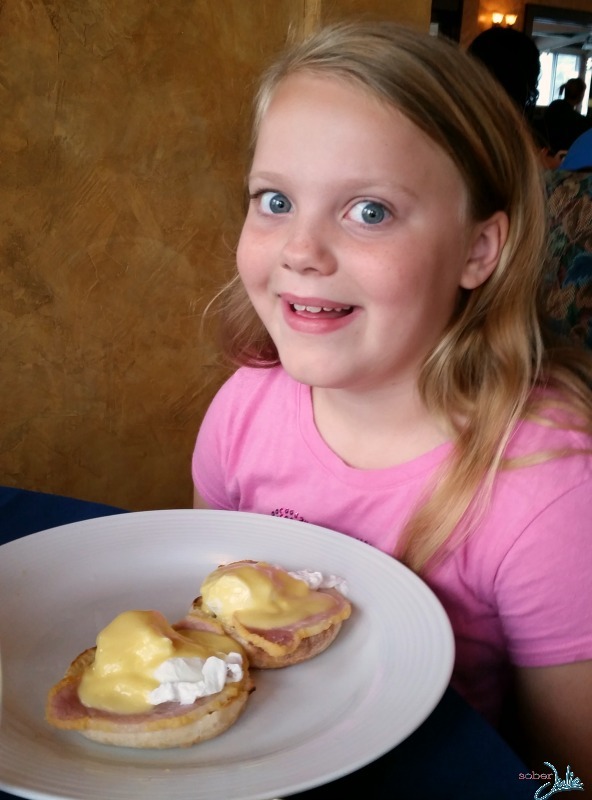 I love the look on your daughter’s face with her egg’s benny! Your Bacon Wrapped Omelette recipe looks scrumptious, easy to make & customize, thx very much for sharing!